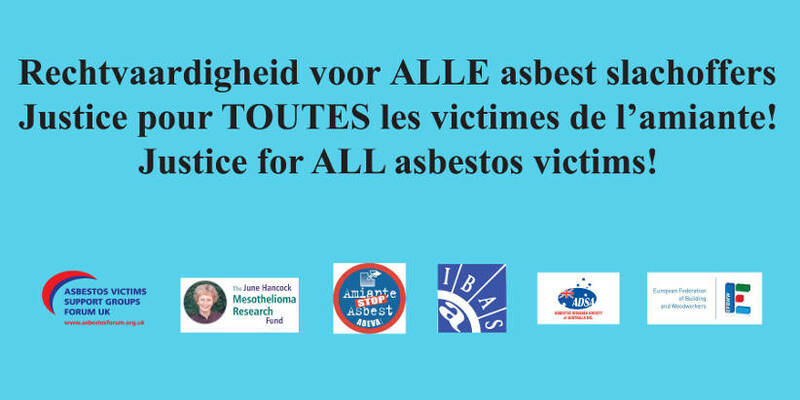 History will be made this week, when asbestos victims from a small Belgian town  Kapelle-op-den-Bos  spearhead the first public protest against Eternit in their home town. The local activists are welcoming a delegation of asbestos victims, trade unionists, campaigners and experts for a series of events on Tuesday, June 23, 2015. For decades, the towns Eternit asbestos factories spewed poisonous fibers into the lungs of workers as well as into the environment. Eternit was Kapelles biggest employer and wielded enormous political influence in local as well as national matters. The company created a conspiracy of silence as a result of which the people in Kapelle and other Eternit towns were afraid to speak openly about the damage which had been done to them and their families. In the absence of political, medical, epidemiological and scientific interest in the deadly asbestos epidemic, it was left to the victims to document the personal tragedies of hundreds of workers, family members and local people whose lives had been sacrificed for the profits of the asbestos industry. Even as the death toll mounted, Eternits powerful allies denied what was well known  that exposure to their asbestos had caused a tsunami of disease and death in Kapelle, Tisselt, Harmigies (Mons) and other Eternit towns abroad. On June 23, 2015 the silence of Kapelle will be shattered when representatives from Europe and Australia join town residents in a pilgrimage to the site of the asbestos plant responsible for so much destruction. They will mount a vigil in front of the factory to remember those whose lives have been sacrificed before making their way to the local cemetery to lay a floral tribute. A meeting with Kapelles Mayor Edward DeWitt will provide an opportunity for those taking part in the days events to learn more about how the town is dealing with its dreadful asbestos legacy. 1 Freeing Europe Safely from Asbestos.